On August 11th, we took a trip to the Bronx Zoo to show appreciation to our three exceptional interns from Futures & Options, Samantha Coppolo, Tesfamariam Getahun and Suleyma Cuellar. Pastor & Deromemaj conducting a Know Your Rights training with translations in Garifuna and Spanish. 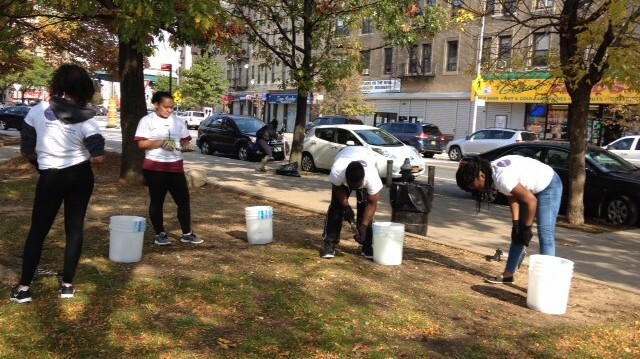 Hosted an It’s My Park clean up and beautification event at Rainey Park, our favorite local park, adjacent to our office. On July 12th, Executive Director, Alpha Diallo, served on a Voter Engagement Forum about Pan-African CDI’s strategy of using voter registration and civic engagement as an organizing tool to build our membership base and collective power to engage and hold our local elected officials accountable. 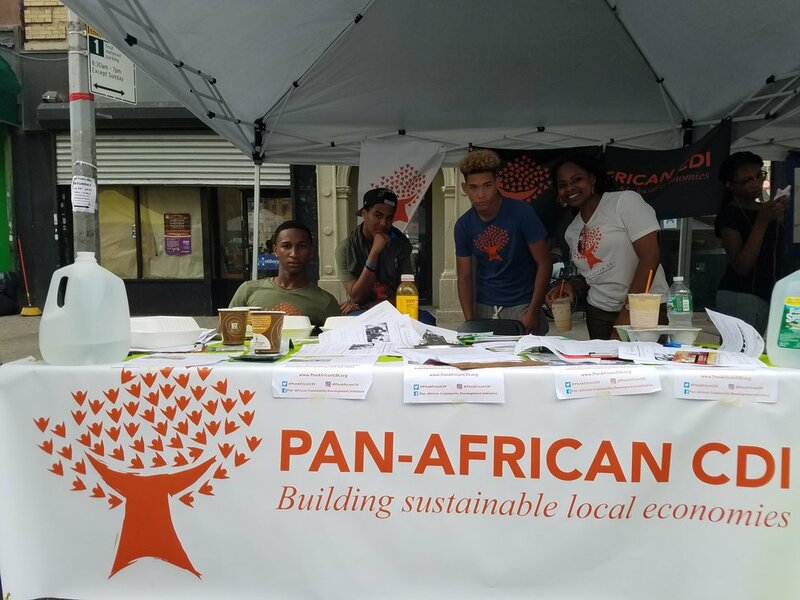 On July 16th, we participated at the GoAfrica Festival, an annual event, on 116th Street in West Harlem, formerly known as “Little Senegal” before residents and local businesses were priced out of the neighborhood. On August 18th, we took part in the Community Resource Fair, organized by the NYPD’s 46th Precinct. 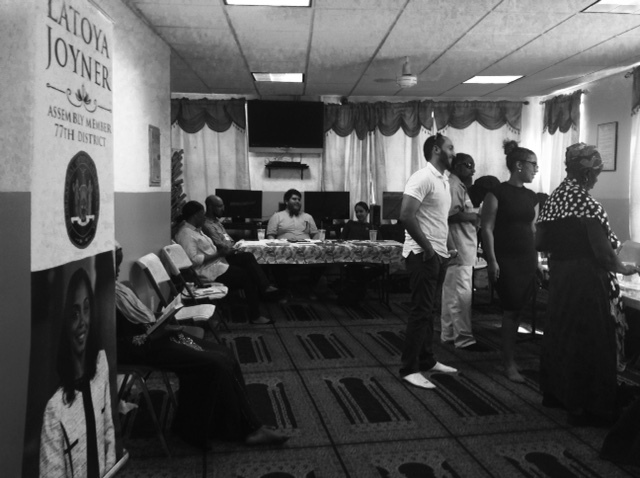 On Saturday, July 23rd, we partnered with Bronx Baptist Church to provide our services to your congregation and community, specifically our voter registration and engagement program. 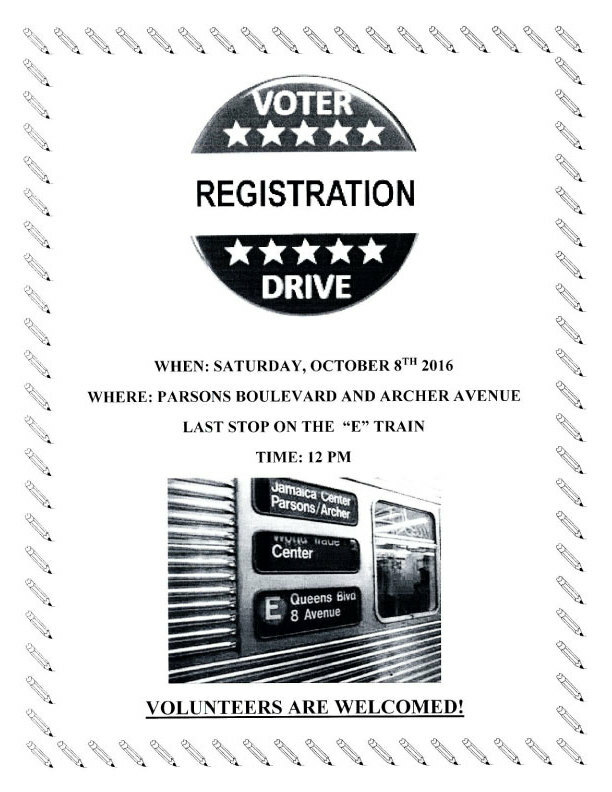 On August 13th and October 8th, we partnered with the Queens County Women’s Bar Association for voter registration drives in Green Acres Mall and at a transportation hub in Jamaica Queens. On Sep. 3rd, we participated in a Gala sponsored by Pothal Fii Banthal Gala, Fatoumata Diallo and Aissatou Bah – A Fulani organization in the Bronx to promote our services and connect with the Guinean community. Our recently started Small Business Capacity Building Program on March 18th currently holds 18 participants. The first cohort will graduate in early fall with the tools they need to run a business, including budgeting, licensure, internet and email communications, business, social media, and more. Founder and Executive Director Alpha Diallo recently initiated a weekly youth-led discussion group that promotes critical thinking and dialog about current events, literature, and culture. 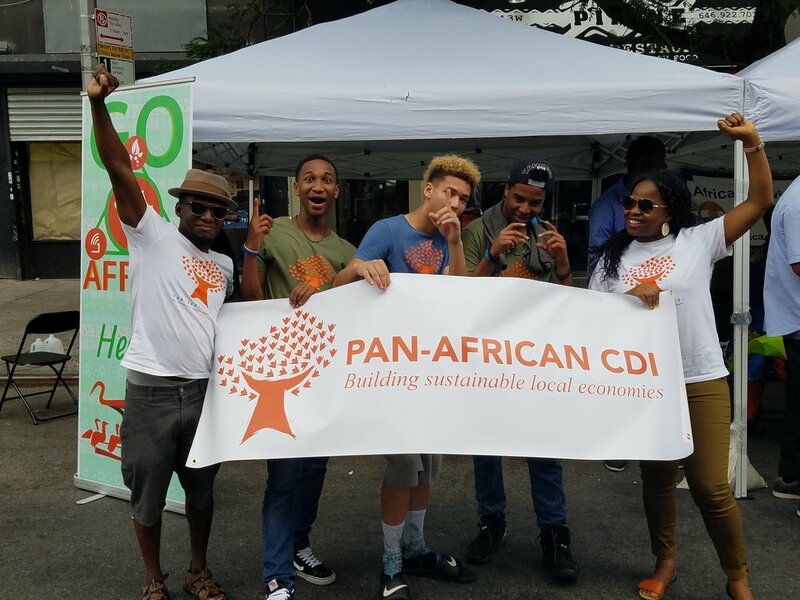 Pan-African CDI's four fantastic interns -- Demesvar Destin, Jason Tomlinson, Asheem Calixte and Jonathan Medica -- are part of the first cohort. In addition to inspiring the program, they gave it the name "Tuesday Talks." Our future newsletters will include updates from our talks. 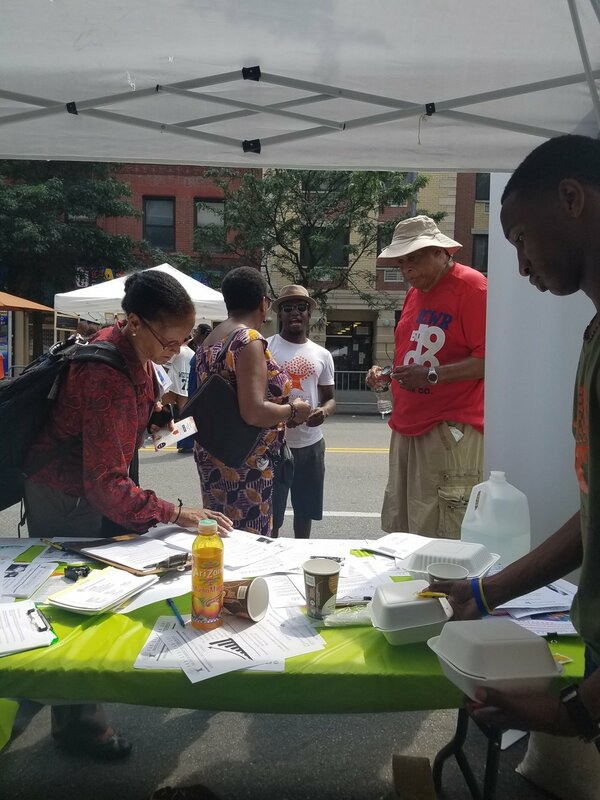 Conducted voter registration and outreach at Twin Park East on June 4th, in partnership with NAACP, NYC Votes, and Assemblyman Blake’s office. On this day alone, we registered 50 people to vote in upcoming elections. 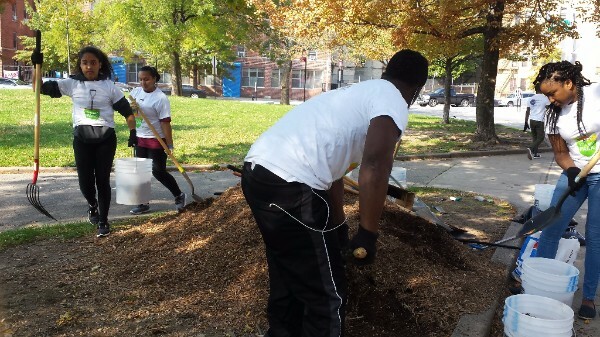 We have recently initiatied our Homeownership and Financial Literacy programs, which provide empowering educational information to our members. Contact us if you would like to attend one of these seminars. Through our free tax prep program, we have served nearly 200 people, netting them $300,000 in refunds, including about $100,000 in Earned Income Tax Credit. Our tax-day event at Assemblywoman Joyner's office saw a great turnout. Click here to watch a short video about how we helped one member amend his tax returns. On July 21st, 2015, co-Founder and Executive Director, Alpha Diallo and team members, Koku Afeto, Aliou Labe, and Victoria Ogundipe, of the Outreach Committee, held a strategic team meeting at Madiba Restaurant in Harlem. The purpose for the meeting was to collectively enhance and support each other's team building skills. The team discussed ongoing outreach efforts and more effective methods to strengthen PACDI's community outreach action plan. Our Executive Director and the Outreach Committee will continue to have the necessary meetings to improve Pan African CDI collective staff skills. The Outreach Committee seeks to develop strong rapport with potential community PACDI members and partners as well as strengthen the community's awareness of Pan African CDI's up and coming services.